Obviously there are some other strange and potentially dangerous objects you might mistake for chicken, such as grubs, smelly socks, fish bones, and TNT you obviously won’t want to feed your cat. Carefully avoiding these obstacles, your mission is to speedily tap on every edible piece of chicken before it disappears from the screen. 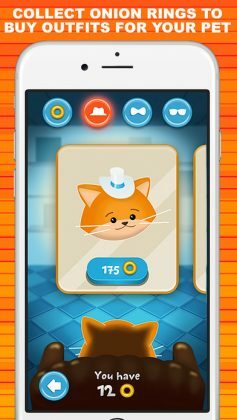 Yes, this is my first app! 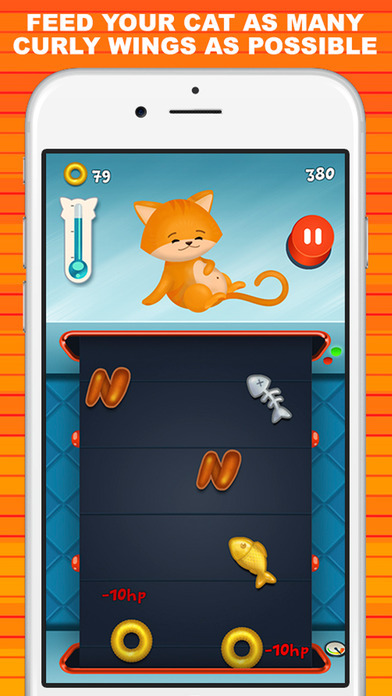 Don’t Miss This Super Addictive Fun Arcade-Style Game for All Ages! 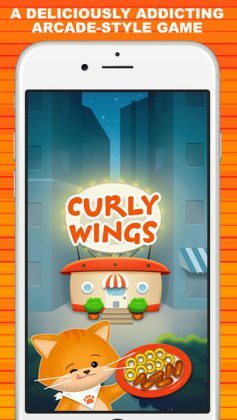 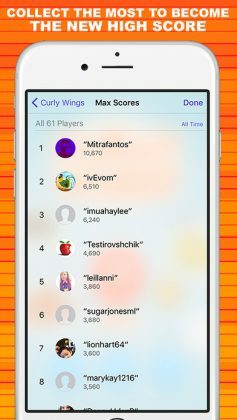 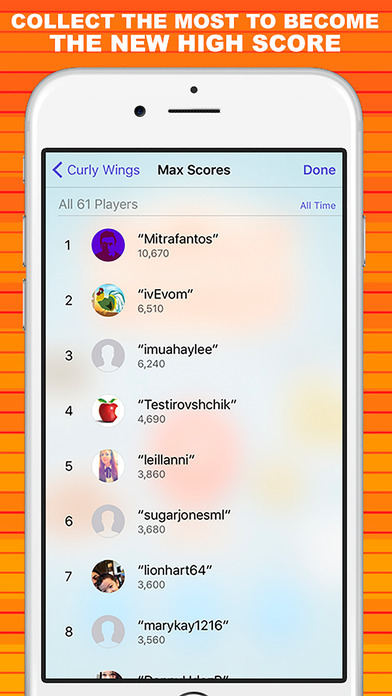 Curly Wings is an addictive arcade-style game where your job is to feed your cat as many chicken wings, or curly wings, as possible. 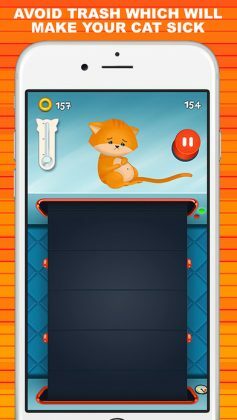 Know a youngster that could use a super cute cat game?